Kevin Serba is an award winning interior designer and owner of Serba Interiors, his interior design studio based in Birmingham, Michigan. He enjoys many styles of design from modern to traditional and is known for his ability to remain versatile in his aesthetics; allowing the design process to be a true collaboration between him and his clients. His passion for art and antiques is an important influence on his design work and contributes to the creation of interiors that possess a unique and specialized perspective. Kevin grew up in Grosse Pointe, Michigan where his family owned a floral and design business. 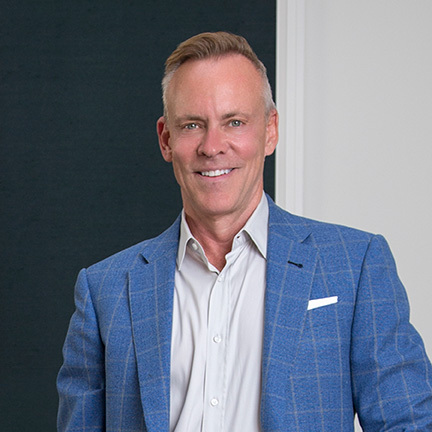 After attending Eastern Michigan University’s School of Design, he would go on to work with the Franklin based Interior Design Firm Perlmutter-Freiwald, becoming a senior partner and developing a loyal clientele. In 2005, after sixteen years with the company, Kevin left Perlmutter-Freiwald in order to open his own design studio; Serba Interiors. With over thirty years of interior design experience, Kevin has developed an impressive portfolio. He has worked on projects throughout Michigan and the world, including homes in New York, Massachusetts, California, Illinois, Arizona, North Carolina, Minnesota, Florida and the island of Montserrat. His projects have ranged from small urban apartments to large private estates and include several commercial commissions, including the Community House in downtown Birmingham. He enjoys all aspects of design and construction and prides himself on his ability to guide his clients through the design process; easing the stress of decision making by leveraging his expertise. His work has been recognized by several local and regional publications and he is a frequent recipient of Hour Media’s Detroit Home Design Awards. An active member of the community, Kevin supports many local and national charities, has presented several lectures on design and often hosts events and fundraisers for community groups and garden clubs. When not working, he continues to explore his interest in European antiques and worldwide travel.